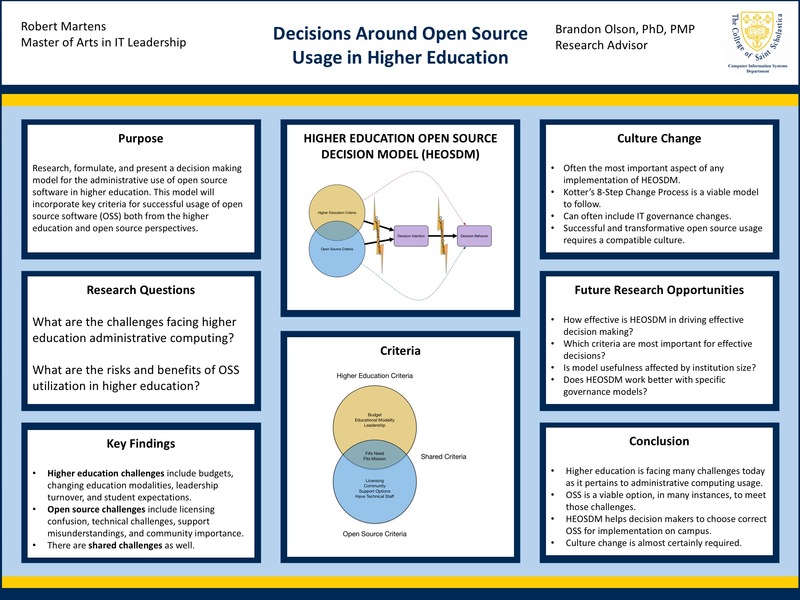 Synopsis: The culmination of my Master of Arts in IT Leadership degree from CSS, this was an overview of my capstone project titled Decisions Around Open Source Usage in Higher Education. The idea was to research and produce a decision model for use within higher education institutions to help decide which open source projects will be best for implementation on their campus. The linked file is the PowerPoint file used for creating the poster display I used the morning of the symposium.